Mozilla has undertaken what is perhaps the first from any major browser vendor, as it announces plan to create a browser that's specifically built for virtual reality (VR) enabled devices, dubbed Firefox Reality. The nonprofit organization is at the forefront of revolutions coming through the emerging technologies, and now, it is positioning itself to compete with the likes of Google, Facebook, Microsoft and Apple to become the dominant force in the virtual reality market. According to the company, Firefox reality is built "from the ground up" to work with new VR and AR headsets, which bring computer images so close to your eyes that they trick your brain into thinking you're in a virtual world. While the most profound argument against virtual reality is the lack of compelling contents, Mozilla hopes the new Firefox Reality browser would help to some extent in solving the content problems. And as one of the pioneer of virtual reality technology, with its WebVR project that allow web developers build content that works on any VR device, and Mozilla is working on a bigger offshoot dubbed WebXR to handle augmented reality. Also, its A-frame project makes it easier to build WebVR sites, though it's limited by the general lack of headset outside the VR gaming industry. Mozilla recommends the Within site to explore WebVR sites, albeit it's building own alternative, which includes a platform for 3D content experiences on the web. 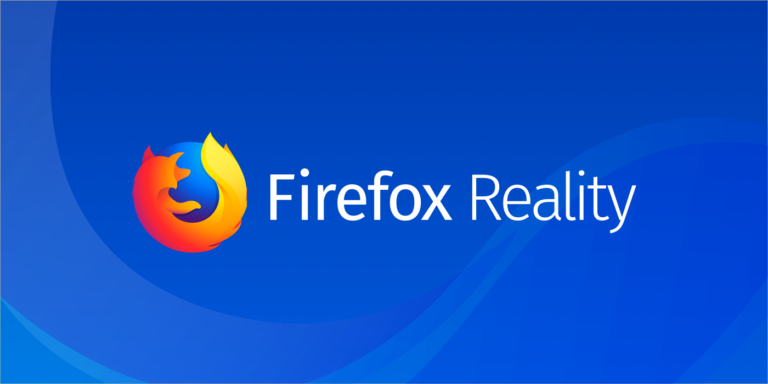 The Firefox Reality browser is expected to arrive this summer, according to Mozilla, and would support the following headsets: HTC Vive Focus, Google Daydream and Samsung GearVR.